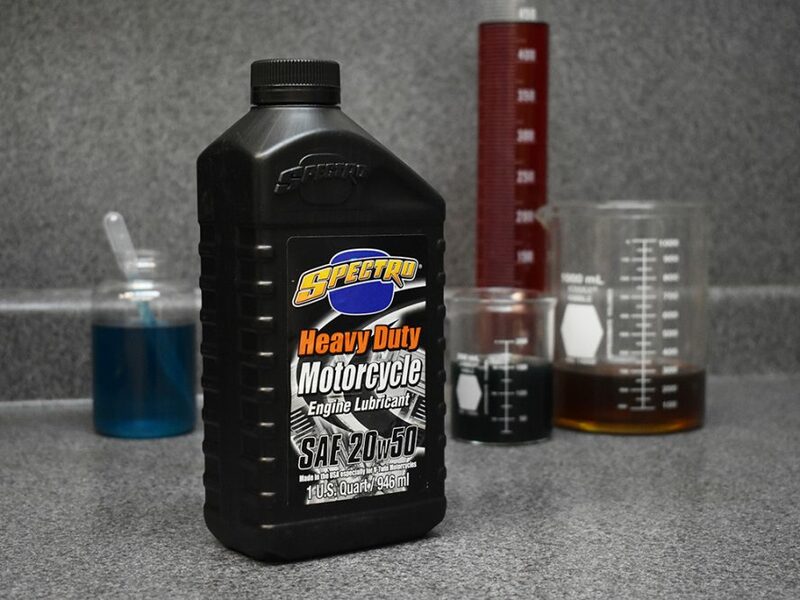 Spectro Heavy Duty is superior motor lubricant formulated specifically for use in American-built Harley® V-Twin engines. Spectro Oils are developed to endure the unique stresses of motorcycle engines. With higher R.P.M.s, power output per litre, and max running temperature, motorcycle engines need specifically formulated oils. Crafted from premium petroleum base oils combined with the most advanced anti-wear, anti-carbon additive systems available, Spectro Heavy Duty extends component life, reduces wear, eliminates valve sticking. Meets all known OEM warranty requirements. Spectro Heavy Duty SAE 20w50 Oil is available in 1 quart and 1 gallon bottles, as well as 16 gallon and 55 gallon drums. Rollies Speed Shop also stocks a range of Spectro Premium Synthetic Oils. Visit our product site to see the full Spectro range.